Users who search are more likely to purchase than those browsing. As a result, managing your search engine can be crucial for this reason only. 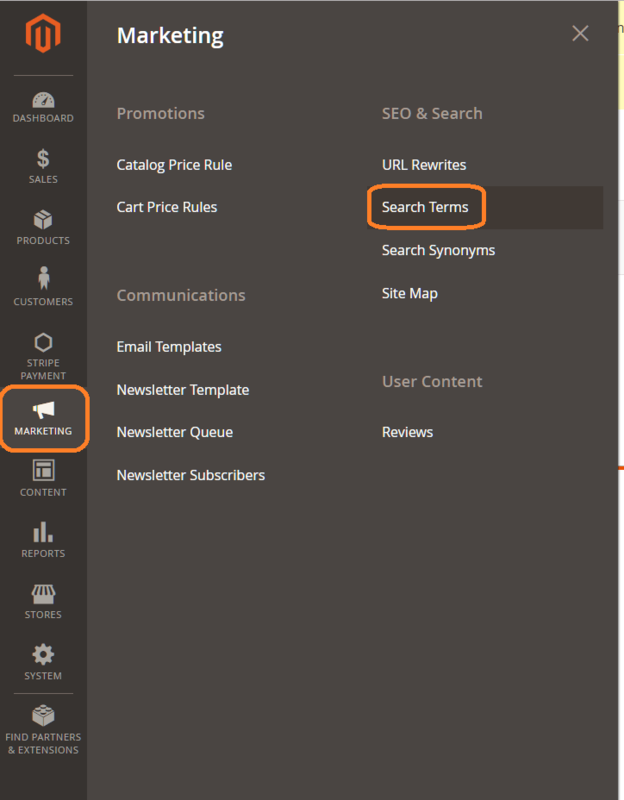 Specifically in this tutorial, we will go into details on how to use the Search Terms and Search Synonyms in Magento 2 to improve your store search engine. 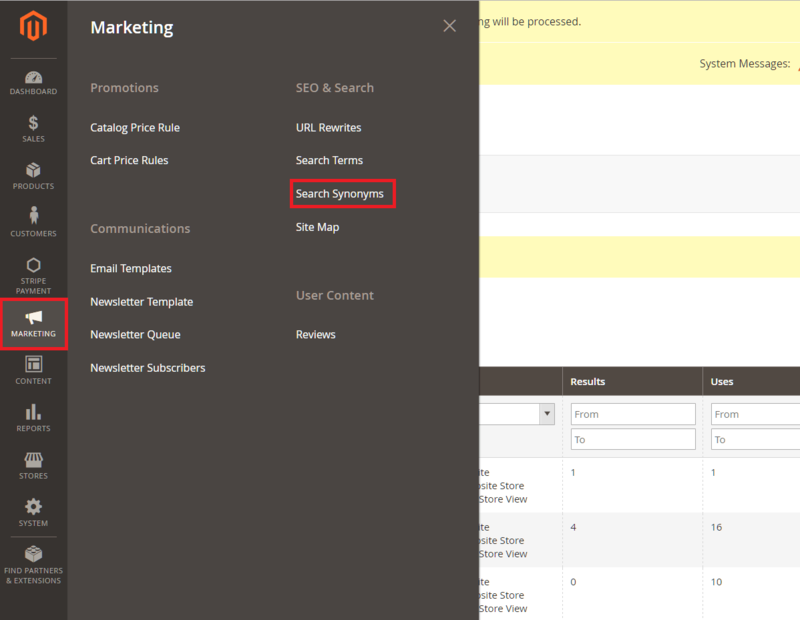 First of all, at your back-end, Search Terms can be located at Marketing -> Search Terms on the Sidebar. Specifically, it provides the store owner with the information of what Users have been searching for in your store. Based on that, you can in many ways improve your stores and sales dramatically. Select a Store View that you want this Search Term available in the Store box. In the Redirect URL field, you can choose where the user will be redirected to when they use this search term by entering the full URL of that page. Either it can be a page in your store or another website. Based on the insight you have gathered you can add a Synonym Group to return relevant results on top of what users are searching for. Alternatively, you can also use this to fix Search Queries that gives no result or misspelling in a single action. In conclusion, if those above still can’t fix your problem or fill all your need yet, check out our Sphinx Search Extension for Magento 2 for more Advanced optimization!